Defiance is free to play on Steam this weekend. Trion Worlds' massively multiplayer third person shooter is still plugging along. The game has received numerous patches since launch, so if you haven't played it since the free beta back in March you might want to check it out. The free trial will last until 1PM PDT Sunday, May 26th. That's more than enough time to shoot some aliens and earn some decent scrip. Steam is also having a sale on the full copies of the game. The Standard Edition and Deluxe Edition will be on sale for 30% off, making them $41.99 and $69.99 , respectively. You can also watch every episode of Defiance this weekend. All six episodes will air back to back on Monday, May 27th from 4pm-11pm on Syfy. I've been watching the program since it debuted with my wife. After a decent first episode we think it has gotten progressively better. It's very space western, and Nolan was particularly badass in this week's episode. It's also been renewed for a second season. Defiance is an MMO and supports massive cooperative battles in the open world. 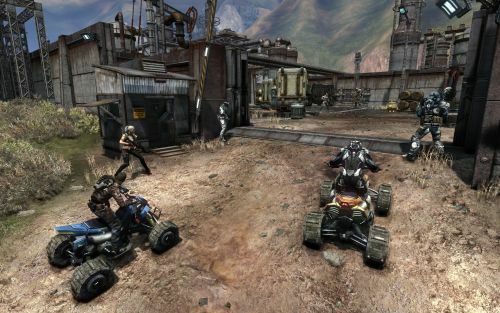 Players can form smaller groups of four to complete co-op missions. It is available now on the Xbox 360, PlayStation 3, and PC. Page created in 0.3717 seconds.